Dr. Dariush Hourfar was born in the north-western German town of Halle in 1958. He studied energy and power plant engineering at the University of Essen. 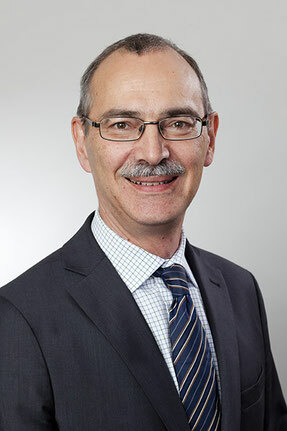 Following his graduation in 1984, he worked in nuclear technology at the Institute for Systems Analysis and Technology Evaluation at the Jülich Nuclear Research Facility and gained his PhD there in 1989. He held a variety of management positions in the energy sector up until the end of 2015, working on a large number of national and international projects from developing concepts to completion. In recent years, Dariush was in charge of technology and innovation (e.g. photovoltaics, biomass, flexibility, energy storage and nuclear technology). During the course of his career, Dariush Hourfar has initiated more than 200 publications and has sat on national and international bodies. He also works as a lecturer at Kraftwerksschule and at Haus der Technik in Essen. He has worked as a freelance consultant for Michalski Hüttermann & Partner since January 2016.